The older a person gets, the more that they should pay careful attention to their health. This is because our health naturally declines with age and if we are not careful, it could affect our lifestyles and reduce our overall quality of life. To ensure that you can continue doing the things you love, it is important to make sure you are exercising and maintaining a healthy lifestyle. This is something your local provider of home health care in Hawaii can even help you out with. The main reason why you will want to exercise on a regular basis at an advanced age is for your health. Exercise is extremely effective in maintaining many aspects of your health. Not only will it improve your physical health but it can also help your mental health. Through regular physical activity, you will notice that you are not only stronger and more energetic but also your memory is better and you have less brain fog. Exercise is an important component of any provider of good medical home care in Honolulu, Hawaii. This is because not only is it effective in maintaining and improving your health but it will also go a long way in preventing numerous health conditions. 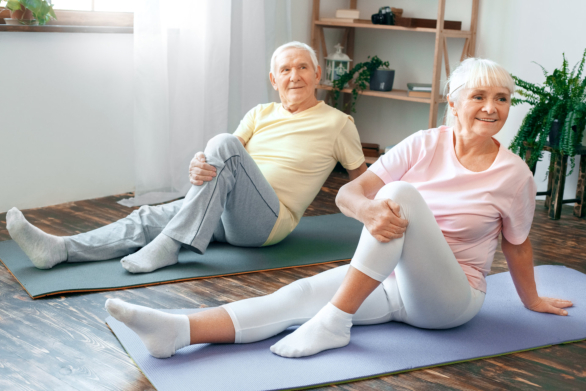 By exercising on a regular basis, you can prevent a wide range of major and serious conditions, such as cancer, dementia, heart disease, and more. Exercise can improve various aspects of your lifestyle and even enhance your quality of life. This is because not only will you be experiencing improved health but you will also feel happier and less stressed out. Exercise releases endorphins, which are known to boost moods and help you feel better overall. Those are just three of the many different reasons why you will want to exercise on a regular basis in your advanced age. If you would like to find out more about exercise or about home care providers, please feel free to get in touch with 3GS Direct Care Services Provider Home Care for more information anytime. This entry was posted in Home Care Services and tagged Health, Health Conditions, Healthy Lifestyle. Bookmark the permalink.